Got left over groceries from last week’s huevos rancheros recipe? Put them to good use with these mini pizzas. 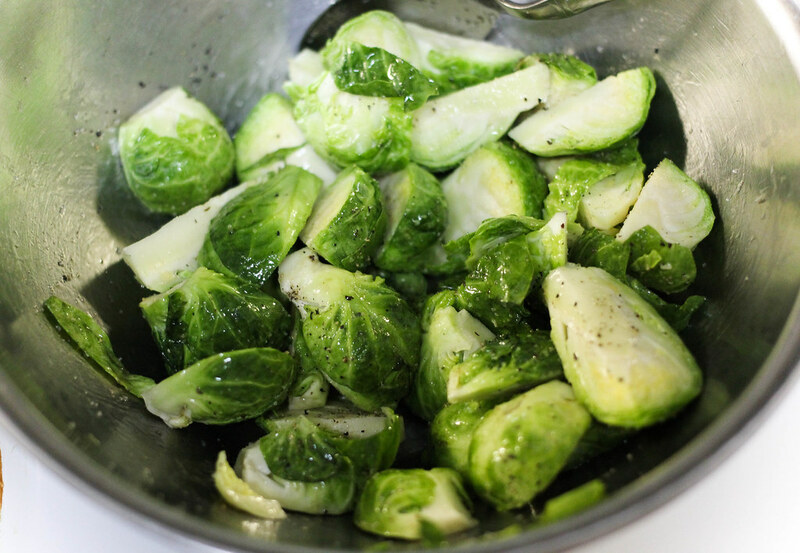 We all know how good Brussels sprouts are for us—they are cruciferous vegetables with tons of antioxidants, vitamin K and potassium. These pizzas are super easy and will make you actually want to eat your Brussels sprouts. 1. 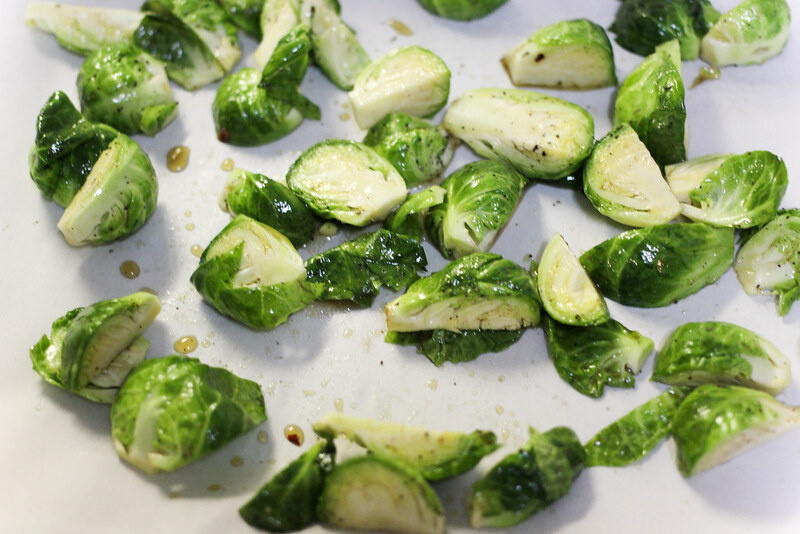 Roughly chop Brussels sprouts into quarters and toss with olive oil and salt. 2. Place on a piece of foil in the oven and broil for 5 minutes. 3. 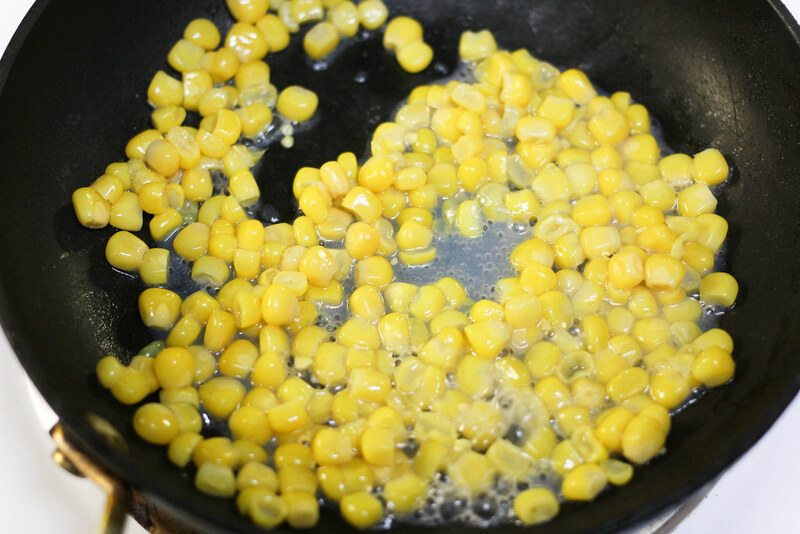 Cook corn in a skillet until roasted. 4. 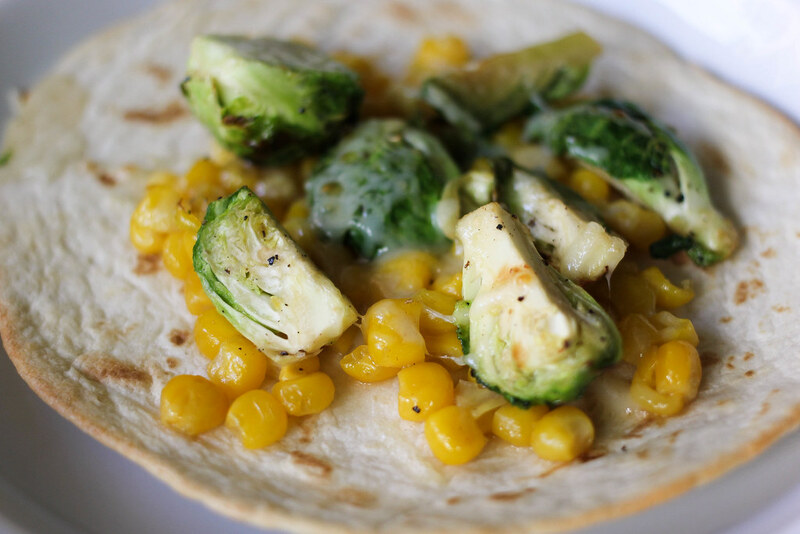 Sprinkle 1/4 cup cheese on each tortilla and top with 1/4 cup corn and half of the Brussels sprouts. 5. Broil for 3 minutes and serve with garlic mustard aioli.